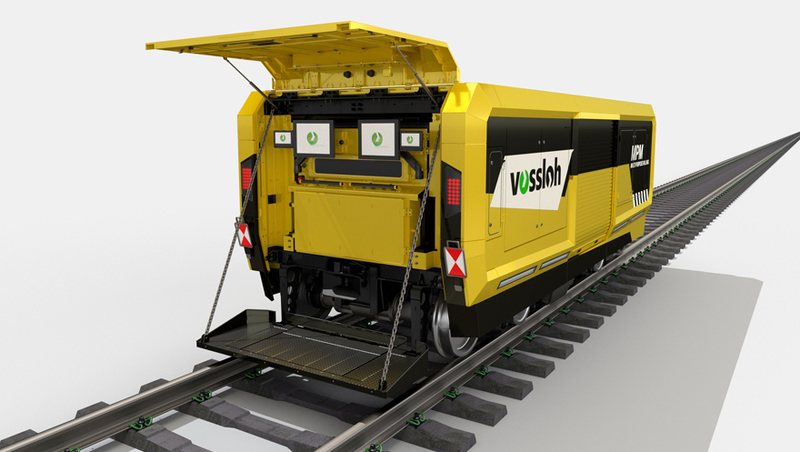 Small and flexible, the Multi Purpose Milling Machine (MPM) was designed to rectify serious damage to rail and turnout hotspots in commuter and urban transit systems, and especially in tunnels. The machine's compact size and light weight make it easy to transport and it's compatible with virtually every structure clearance gauge. Highly efficient, MPM removes as much as 2 mm of material per machining run and can operate on either ballasted or slab tracks and on either Vignole or grooved rails. With its adjustable wheel gauge, it can be used on all of the common track gauges. The Multi Purpose Milling Machine employs up-cut milling, i.e. the milling wheel rotates counter to the direction of travel. This immediately has several advantages. More milling power is transmitted, which increases efficiency and allows the machine to remove up to 2 mm of metal with each pass despite being so lightweight. MPM also vibrates less and applies a significantly better milling finish to the rail surface. Its milling efficiency is enhanced still further by the rubber tires on the drive wheels. In All-Wheel-Drive mode, power is transmitted evenly to all four wheels, which gives the machine more forward propulsion without slippage. Like its "big sister" HPM, the Multi Purpose Milling Machine is clean, safe and eco-friendly. 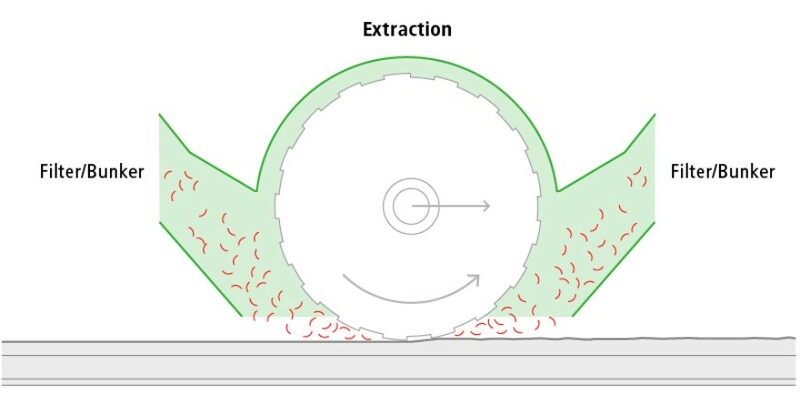 MPM doesn't use water, produce sparks or generate grinding dust, and in tunnels, for example, there's no clean-up required because the milling chips are extracted during the process and stored in the chip bunker for disposal. At only 5.8 m long and around 2.2 m high and 2.2. m wide, MPM fits inside almost all structure clearance gauges and can be used on the London Tube, for example. Its compact design and weight of just 16 tons – around half of other milling machines – make it very easy to transport. 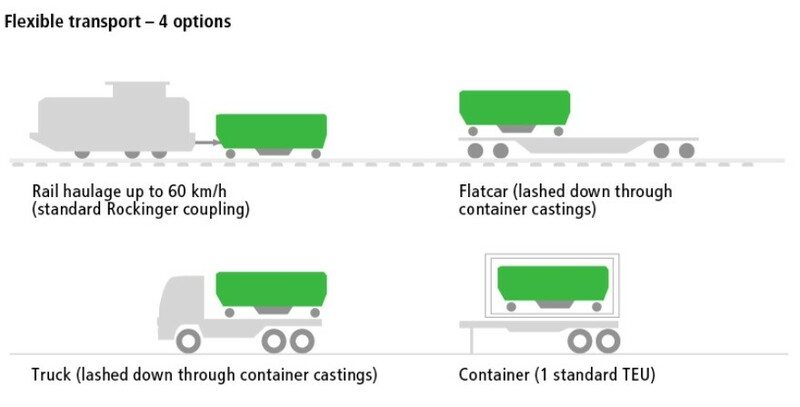 It fits into a standard container (TEU-compatible) and can be towed to a deployment location on a flat wagon or by truck. MPM is on-railed and readied for operation in a matter of minutes and can also be optionally equipped with a hoist for even easier loading and unloading. MPM reprofiles the rails or turnouts precisely and back to near new condition. The machine's special feature is a suspended milling spindle assembly that can variably alter the milling wheel tilt angle in order to machine inclined rails without a tool change. The machine's performance is certainly impressive given its low weight. Removing up to 2 mm per pass, it is ideally suited to machining even the most severe rail damage. What's more, residual roughness and ripple are minimal and conform to the DB Ril 824-8310 standard. And if you want to get that visually perfect finish to the milled surface, MPM can also be fitted with a grinding unit as a finishing module. The covered operator's console at the back of the vehicle is equipped with two 15-inch touch screens, a control panel and two camera monitors. The operator can also control the MPM remotely by means of a practical wireless panel. This gives him access to all the machine's important functions and a good view of the track at the same time.